Caspar Friedrich Kleine (pictured above second from the front), a student of Economics from the University of Bayreuth in Germany, spent a semester in Dundee as part of the Erasmus Student Exchange Programme. While in the city he launched himself wholeheartedly into a new sport with Dundee University Boat Club. Here are his thoughts on his experience as a student at Dundee. 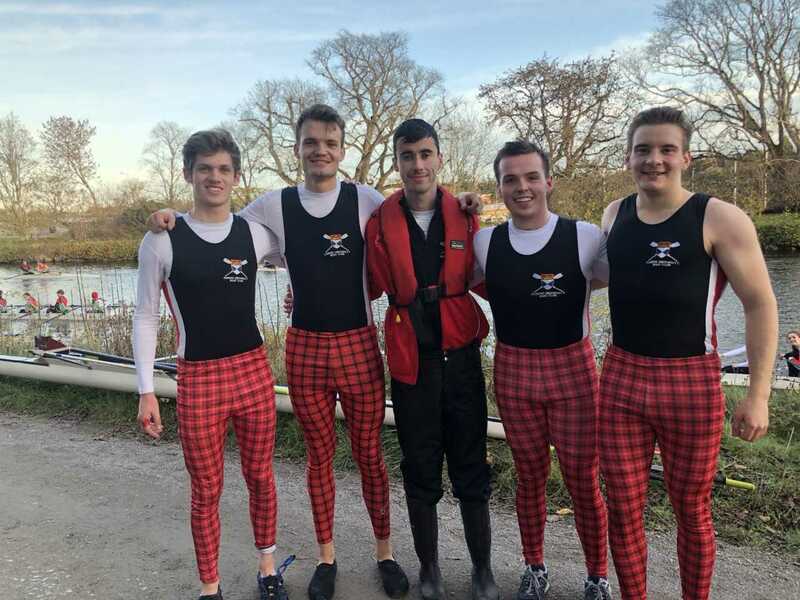 When arriving to Scotland from Germany, to study for my semester abroad at the University of Dundee, I had never even been in a rowing boat and had no intention to pick up the sport. But little did I know that would all change when I strolled past the desk of Dundee University Boat Club at the Sports Union’s fair during Freshers week. At the time, I did not realise how much this chance encounter would shape the time spent in my new home away from home. In joining the club with the intention to have a nice weekend activity, I came to enjoy it so much that I rarely missed a training session. 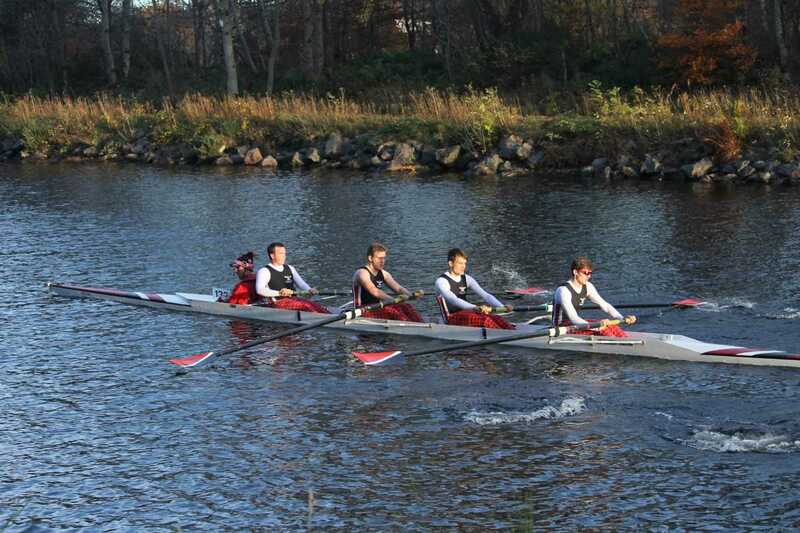 Before I knew it, I found myself in the coxed beginner’s four, for the first race of the semester in Aberdeen. I remember talking to the Men’s Captain, asking him if it was even worthwhile aiming for the races, because I would leave Dundee in December. When he assured me that being in the club for only a semester wouldn’t take away my opportunity to throw myself into the sport, I decided to make the most out of my four months and take advantage of the exciting experiences that the club offered. This was facilitated by the openness, acceptance and hardworking mentality of the club’s members – especially the committee. I find it remarkable how professional DUBC is, from its organisation right through to its operations, and how passionate each member is about their sport. Their accomplishment in running such a professional club is made even more astounding when realising that the club is wholly run by students! (Which is something I needed some time to realise because of how mature and responsible they presented themselves.) It really is an achievement in itself how they managed to facilitate training for up to 40 “fresher beans” while still managing to conduct training for their senior squads. 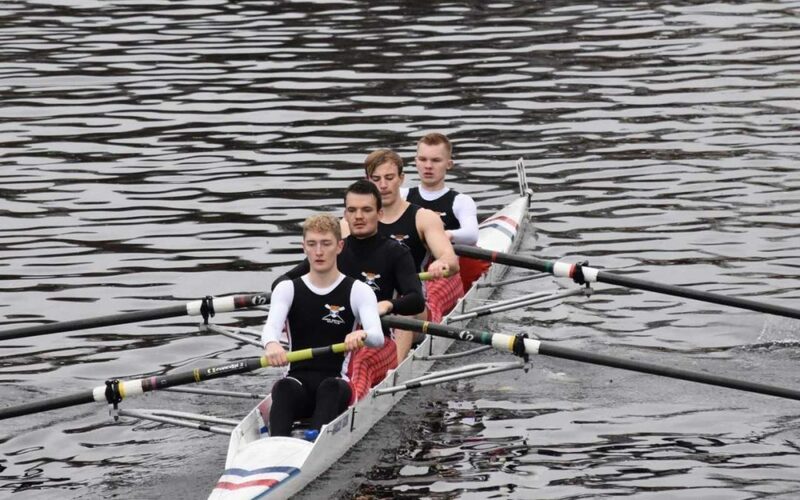 The mental attitude of the club’s members was also something that I found inspiring during my time spent down by the River Tay training; they don’t let a lack of heating supply, limited equipment or aging boats stop them from working hard in order to achieve their goals. And with that comes a feeling of togetherness that is unique to this “wee” club. As the penguin of their logo is a social bird, togetherness is a principle which is at the core of DUBC. Rowing would not have been as much for me if the club had not been so open and accepting of new members. All freshers were welcomed with open arms, with a range of social events making it easier to fit in, meet new people and make new friends! Coming from abroad, it was a great way to get to know people I otherwise would not have met, improve my language skills and discover the exciting nightlife that Dundee offers. Not to mention that having the opportunity to row in cities up and down the country allowed me to have some of my best experiences whilst in Scotland. In order to take full advantage of the club’s programme, I was pushed to improve my time management which is an invaluable skill for studying at university. But once you get accustomed to the early mornings, there is nothing better than starting your day on the Tay at Inchyra, while the sun rises over your head, or with a challenging session on the ergs in the gym. With such a positive start to my day, I would feel even more motivated to make the most of it, meaning my studies were never really affected at any point. After a short time, I felt fitter and healthier than ever before, which furthered my desire to train harder and accomplish more within the club. So, If you like wearing tartan red leggings and scarlet red chino pants, you’ll absolutely fall in love with this club. If not – just try them out anyway and I’m sure you will still love it as much as I did. I am so glad to have joined DUBC, and I couldn’t imagine my experience studying in Dundee without the club taking me in as one of their own. Now the Penguin in me is desperate to join a new boat club back home, igniting in me a love for a sport that I had once never considered trying out. For those who find themselves at the University of Dundee, whether from a far or within Scotland, I cannot recommend this club enough and I wish them the best for the future and for a successful year in 2019!